The welcome comfort of a Vango tent comes with peace of mind, provided by our high-quality materials and craftmanship and this year, as always, we've designed our family tents so that you can make more of your holiday. Whether you prefer a spontaneous weekend trip with friends or longer summer holidays with your family, we’re certain our collection of poled tents will accommodate your camping needs, wherever you go. This year, fabric innovation has been a key development area for the Vango team. Our research and development has resulted in the creation of five innovative fabrics which will beat the elements come rain or shine. 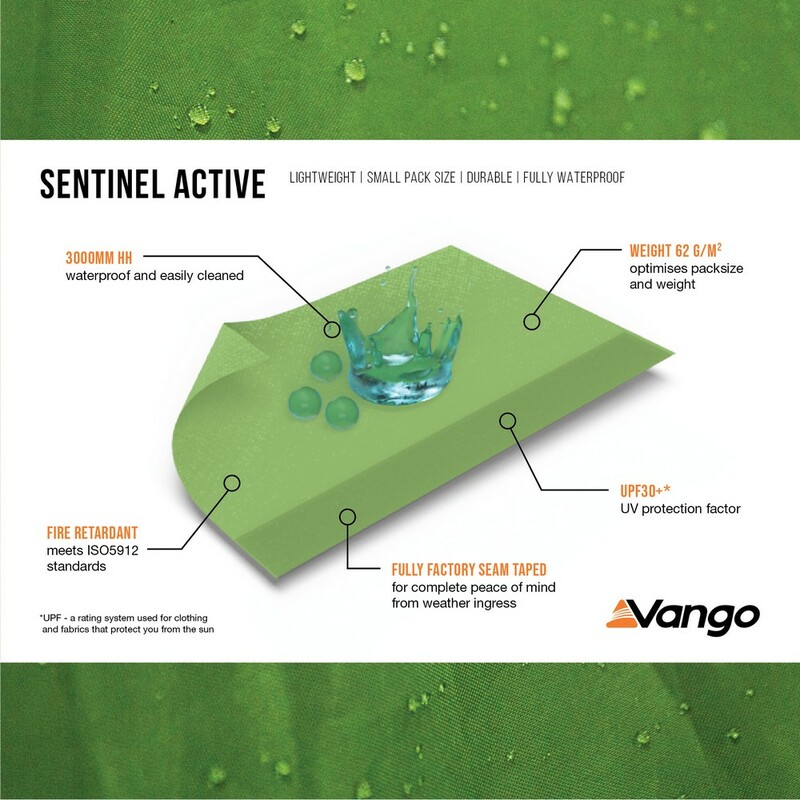 Sentinel Active is utilised in both our Poled and AirBeam Experience ranges. Also featuring as a fabric in our AirBeam Exclusive tent collection is Sentinel Signature. Sentinel Signature combines the leading properties of both cotton and polyester to create a feature rich polycotton fabric. Key amongst these are breathability to increase comfort and its easy to maintain nature. The softness of the cotton and the dense weave ensure that light and noise are reduced. 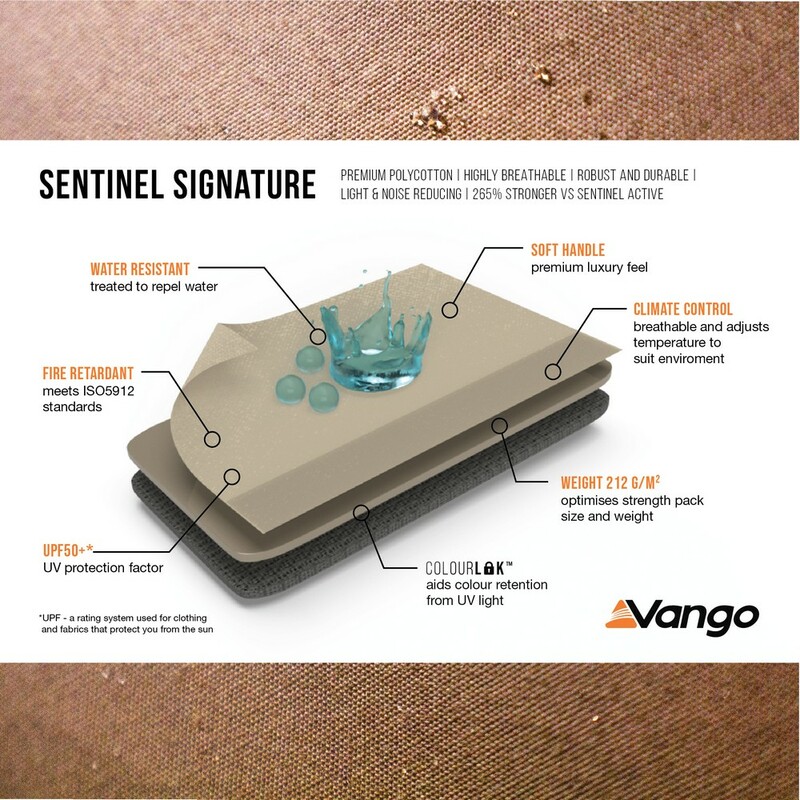 Sentinel Signature is a high-quality fabric that is luxurious to touch but robust and durable enough for any holiday. Although fabric has been our key innovation this year, we haven’t stopped there. 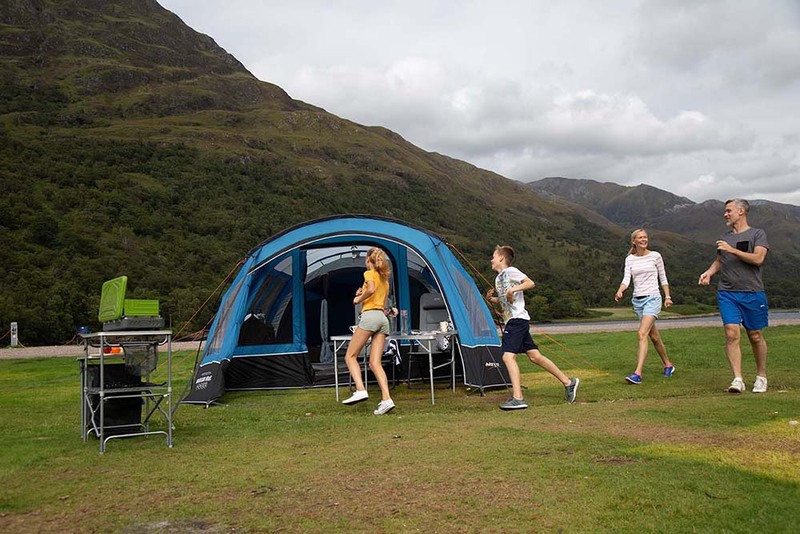 Our range of Family Poled tents have been updated with fantastic features including; AirZone Panels which allow for increased ventilation within the living area of your tent; Storm Anchors for secure guying in difficult weather conditions and a Flat Front Living Area to maximise the usable space. Plus, we have introduced 2 brand new tents featuring the above and much, much more! The Stargrove 600XL is the perfect tent for spending quality time with family and friends. The pre-attached awning is perfect for socialising, and the huge Diamond Clear windows allow for breath taking vistas. The 6-person Stargrove features a flat front living area providing more useable space. Internal mesh panels ensure a constant flow of air through the tent, ensuring maximum comfort. 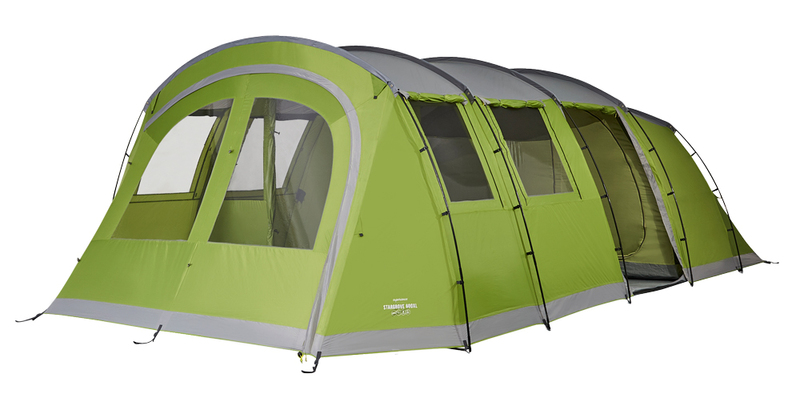 The Madison is a great tent for families going on longer camping breaks in the summer months. The huge pre-attached awning and double section living area allows meal preparation to be separated from your living space. 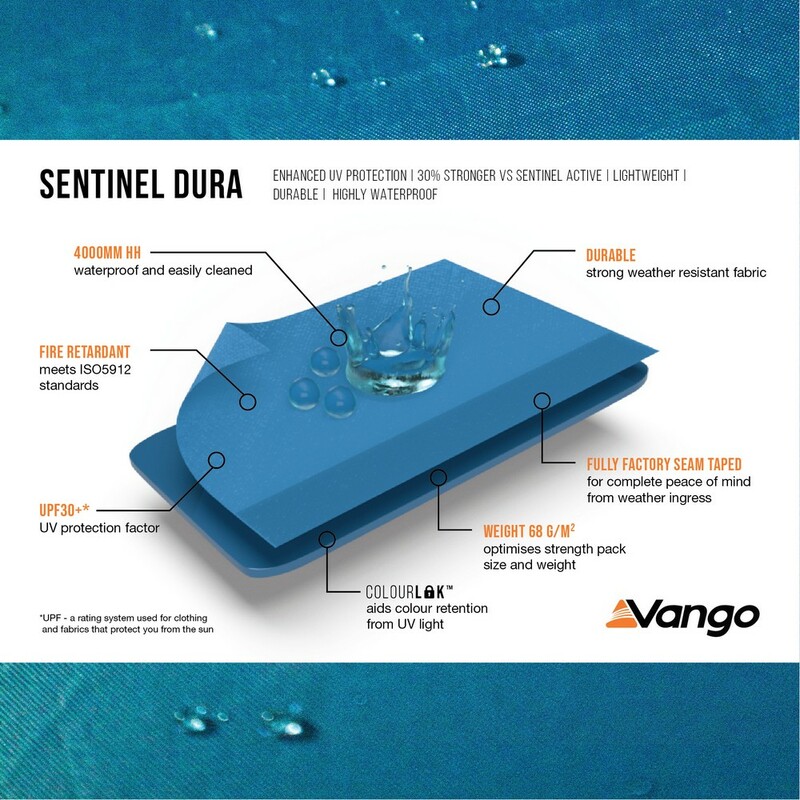 Designed using our new Sentinel Dura fabric, this tent will last the test of time and stand strong against the elements. Featuring pre-angled fibreglass poles and luxurious lights-out inners with bedroom pockets, you will be the envy of the campsite with the Madison 600XL. View the full range of Family Poled Tents.